"However, the player I like today is a real improver - Felix Auger-Aliassime. 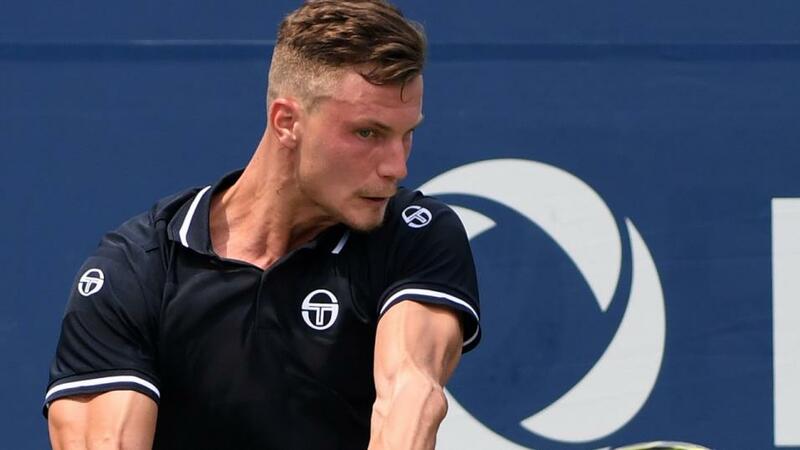 Last season, with his potential perhaps only gradually showing in his data, I made him a little over-rated in general, but that's not the case now, and I make him a good thing against Marton Fucsovics." It was a frustrating day two in Florida with our pick, Benoit Paire, succumbing to Feliciano Lopez despite arguably having the better of their match - certainly the lion's share of chances in the deciding set, at least - while our 'next best' picks mentioned did fairly well, including Robin Haase, Bernard Tomic and Jordan Thompson getting victories. I was pretty close to choosing Tomic, but thought one volatile, inconsistent player was enough! We move on to round two tonight, with each match featuring a top 32 seed who has received a first-round bye. There's quite a few tough matches to decipher, and some of the early matches feature a heavy favourite priced in the region of [1.20] and [1.30]. I posted a poll on Twitter earlier which discussed the vulnerability of any of these favourites, and you can check that out via my Twitter link at the bottom of this column. In that, there wasn't much to choose between Kyle Edmund and Nikoloz Basilashvili as the most vulnerable heavy favourite, but for me, it's the Brit, Edmund, who looks the worst value. I must admit, when I saw Ilya Ivashka was [5.00] for the win, I wondered whether someone had advance information of one hand being tied behind his back for the duration of their match! Edmund has underwhelmed for a little while now and against a competent, and improving opponent, I think Ivashka has opportunities on the handicap. For that, Ivashka +4.5 games should go off around even money, and Edmund's record in these type of match-ups on hard court is a bit of a mixed bag over the last year or so. However, the player I like today is a real improver - Felix Auger-Aliassime. Last season, with his potential perhaps only gradually showing in his data, I made him a little over-rated in general, but that's not the case now, and I make him a good thing at [2.28] against Marton Fucsovics. In fact, I make the Canadian youngster a marginal favourite to take this, with main tour hard court data over the last 12 months giving him around a 1.5% edge on combined service/return points won percentages, while Auger-Aliassime has also done well in hard court Challenger matches from his few outings. Given this slight advantage, and natural age-related upside, I think he's quite a nice price today to make round three. In other matches, I'm surprised John Millman is as big as [1.64] against our hero from the opening day, Federico Delbonis, even though the Argentine will like these slower conditions, while you can also say the same about Lucas Pouille, who is the same price against Albert Ramos. The Spaniard's record on hard court in the last 12 months is dreadful, but the slower conditions may suit. Another player who, in theory, should enjoy the slower pace is Fabio Fognini, but the enigmatic Italian is in a real slump right now, and that's reflected in very defensive market pricing today. He looks a seemingly generous [1.57] to get the win over the very limited Guido Andreozzi, but as most bettors and traders know, anything is possible in a Fognini match. Perhaps it might be best to get on Fognini at bigger prices if he falls a set and break down or similar - he's got a pretty decent record at fighting back from this type of spot.